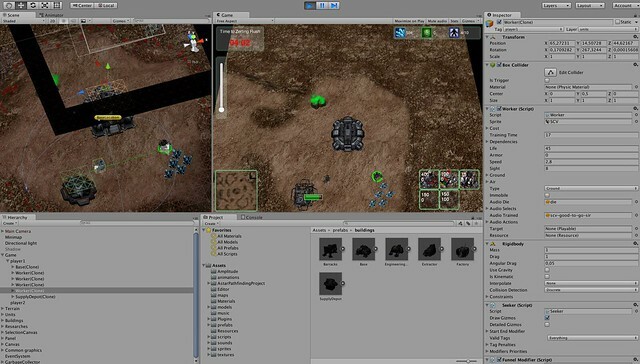 We have been just playing with Unity3D for a few months, but we have already tried to build something: a new RTS (Real Time Strategy) game for Desktop and Mobile. But we want to make this game abstract and adaptable, so that it works like an engine, which means we could easily change the models, behaviour and statistics from the objects in the scene to make a completely new game, a clone of Star Wars Galactic Battlegrounds Clone Campaings maybe ? or maybe completely new strategy game featuring plants vs zombies, pirates vs ninjas, angels vs demons or monkeys vs giraffes. 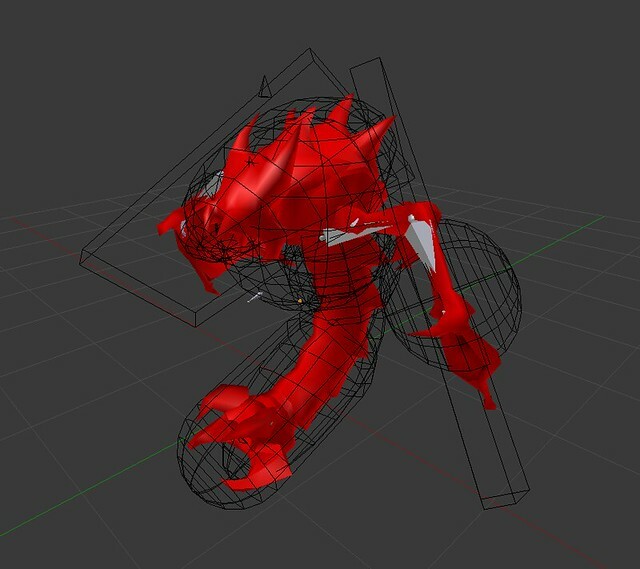 In our case, we’ve started by using the 3D models, animations from StarCraft II game and reverse engineered the behaviour of this game to make our strategy game template. Please note that this is just a technical demo and it’s not made to replace StarCraft or make any money with their work in any way, we are just trying to follow their path because we love this game. 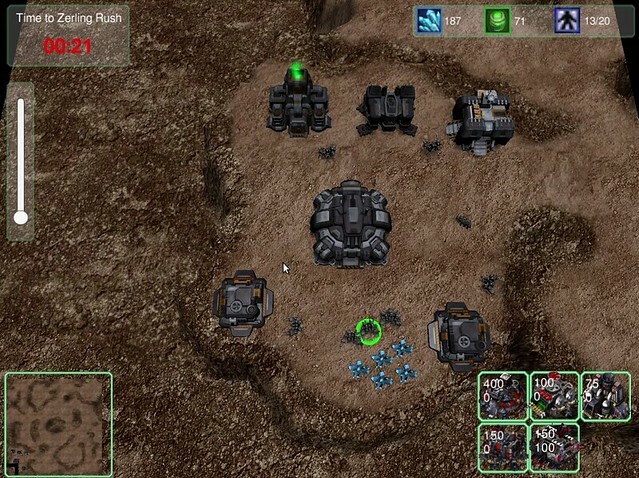 This is the list of features we have developed to simulate a basic gameplay from Starcraft. 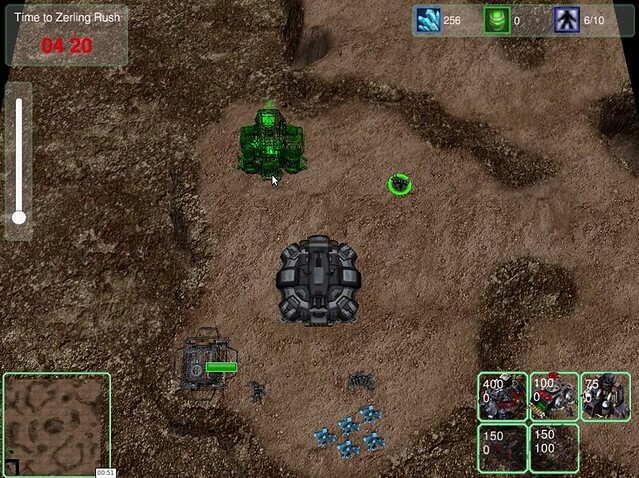 They together implement the featureset from StarCraft games, but it can be easily applied to fit any other strategy gameplay. Do you want to have 4 different resource types instead of 2 like in SWGB ? just update the Resources class and you’re done. This are things we haven’t build for this prototype but we will probably do in the future. Healing units, shields or Zerg restoration feature.